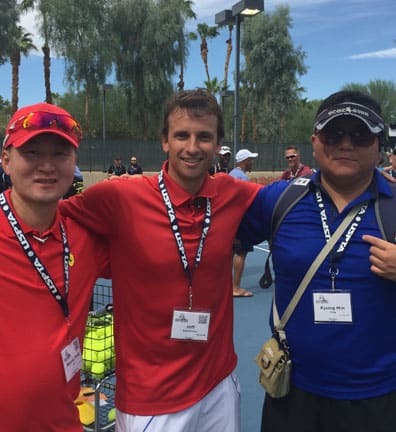 Founder of Tennis Evolution, Former Top 100 ATP singles and doubles player, 2 time All American and national champion at Stanford, USTA High Performance Coach, and USPTA elite professional. 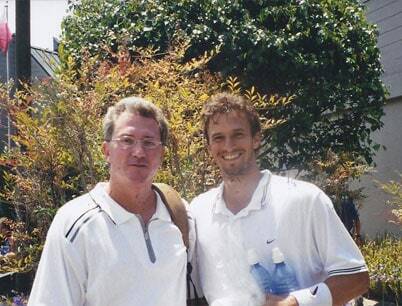 And for as long as I can remember, I’ve been obsessed with tennis, and understanding the game on a deeper level. It all started when my Dad got me playing tennis at just 4 years old. I’ve always been – and still am – a very curious player. In fact, one of my coaches from my teenage years, Brian Sullivan, still to this day says that I asked more questions than any student he’s ever had. I was NEVER supposed to play pro tennis. 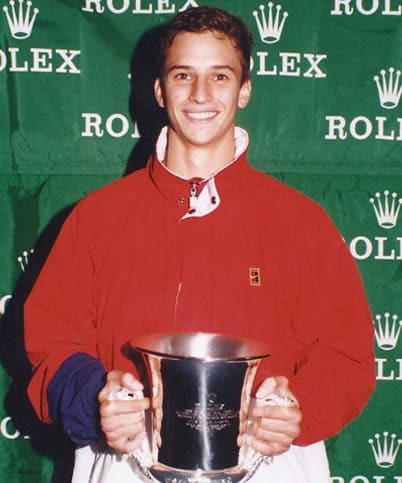 Despite being a great Junior player at 12, I suffered tremendous setbacks during my teenage years because I was small, and I got overpowered by many players who were more physically developed than I was. And even in college when I played for Stanford, I was not supposed to be a top player there. I was slated to play near the bottom of the line up, and played as #5 singles in a lineup of 6 players during my freshman year. At the time, I even had the worst serve in all of college tennis. However, that summer after my freshman year, I took a break from playing pro satellite tournaments – because I was not good enough to qualify – and spent countless hours alone on the court, going through hoppers of balls as I practiced my serve. And all that hard work paid off big time. 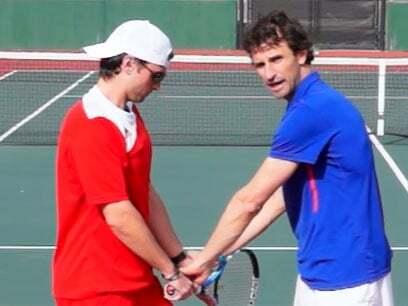 Because when I returned to Stanford after that summer, I had developed one of the biggest serves in college tennis. This is what enabled me to play #1 singles for Stanford during my last two years at college, and ultimately what gave me the chance to go onto play on the pro tour. When I started my pro career I told myself, if I don’t break the top 100 within the next 3 years, I’ll call it quits and get a “real job”. However, a year and half into my career, I suffered my first major injury on my right ankle (which was misdiagnosed for 9 months). And by the age of 25, I had suffered a second major injury, my left knee (meniscus separation that was misdiagnosed for 6 weeks.). Both of which required surgery. It was at this point I became obsessed with learning as much as I could about injury prevention, athletic performance, movement, technique, strategy, nutrition, and the mental game. 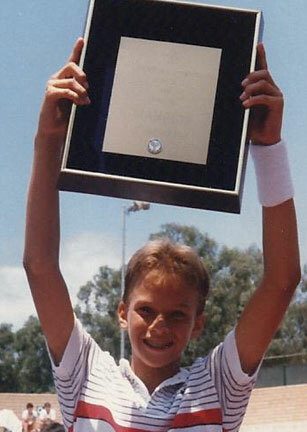 Now, more determined than ever to break into the top 100, I worked with countless coaches, and soon discovered that a lot of the traditional training methods were overly analytical, and riddled with flaws – keeping many players, like yourself, back from reaching their true potential. On top of seeking out these great experts, I was also my own best teacher. In the middle of pro tournaments, I’d spend any downtime I had up in my hotel room, studying video matches of the world’s top pros. Always, with my finger firmly planted on the remote’s pause button. This way, I could freeze frame specific points, and spot the small, but important “invisible” details the human eye misses when watching tennis at regular speed. … and how they were moving. In addition to this, I also studied yoga, tai chi, and qigong to develop a better sense of body awareness. This allowed me to more easily mimic these “invisible” movements I was learning – from tirelessly studying video footage of top pro’s – and incorporate these movements into my own game. With the help of all of the experts I sought out, and my own insatiable appetite for learning, I discovered the techniques, tactics, and strategies which really work in the heat of battle. 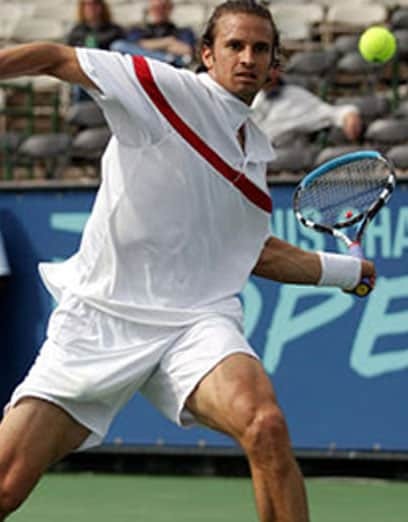 At age 33 I decided to retire from pro tennis because of a “mysterious” health condition, which is now thankfully sorted. And also because I had a family member who was struggling with drug addiction at the time, and I wanted to do all I could to help him out. So I gave up my dream of playing pro tennis, and started coaching tennis in my hometown of Denver, Colorado, where I could be closer to my family. 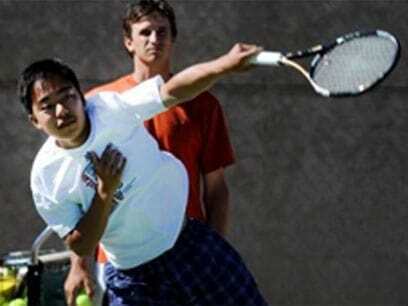 I quickly became the “pied piper” of tennis coaching for Juniors in Colorado. Many parents started sending their kids to me in their droves and I soon developed quite a following. As I honed my craft teaching my system, that’s when I started thinking about how I could reach players all across the world with my effective “out of the box” training methods. And so with humble beginnings, Tennis Evolution was born. 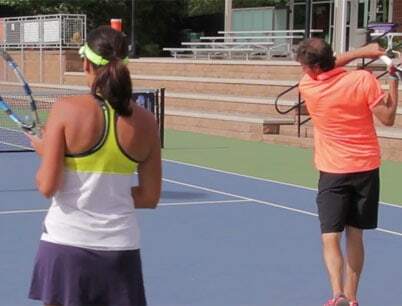 I published my first coaching video on YouTube in 2010 – released my first training program on the forehand in 2011 – and I’ve had a blast ever since, helping players all across the world improve their tennis. Here at Tennis Evolution, I reveal the tried and tested methods I’ve discovered and developed over my 11 year pro career, and throughout over a decade’s experience coaching players of all ages and abilities – from complete beginners, to ATP and WTA professionals. Player who doesn’t have access to world class coaching in your area..
And smash through any plateaus, taking your tennis to the next level!